Hi friends! Cuisine from Bihar is definitely delicious, mouth-watering. Today’s recipe for you is a dish, baked from wheat flour dough that is stuffed with a mixture of roasted gram flour and spices, called Litti and served with Chokha (roasted and mashed brinjal/ aubergines/ egg plant and potatoes) is a food for all occasions in Bihar. 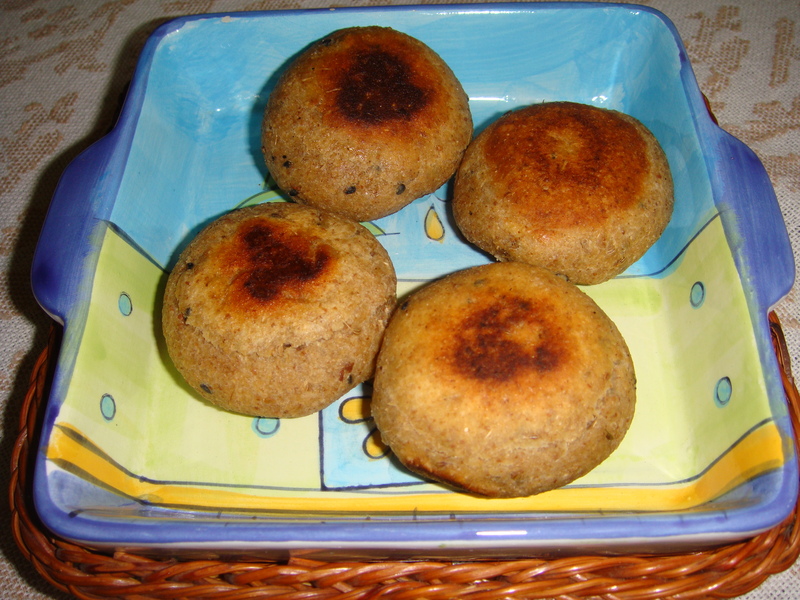 “Litti- Chokha” is a traditional dish of Bihar and Jharkhad. It can be served as an evening snack too. One of the winter delights! It can be prepared round the year but tastes amazing during winter. Easy to make and scrumptious, check out right away! In a mixing bowl take Sattu, salt ,chopped garlic, Cilantro /Coriander leaves , green chili, ginger and lemon juice mix all the ingredients. Add required amount of water to make the mixture damp and easy to fill. Keep aside. In a mixing bowl take the flour add the Onion seeds / Kalonji /Nigella sativa, carom seeds / Ajwain and salt. Mix the ingredients well and add gradually water to knead the mix in to a soft dough. Divide the dough into twelve equal portions. Take each portion of dough at a time roll it into a ball between your palms. Press the rounded dough between your palms , so that the dough spread into two inch thick flat and round surface. Stuff 2 tsp of filling in the center of each flattened portion of the dough, and bring the ages of the flattened dough together to close gently so that filling of the Litti is intact. When all the Littis are ready , we can either bake in a preheated oven at 180C or roast on wood charcoal. Take a pressure cooker, grease the cooker with one tablespoon of ghee. Place the pressure cooker on medium high flame . (and remove the whistle from the lid and keep it aside). When the cooker becomes hot, put the Littis or the stuffed round balls of dough one by one in the cooker. Making sure to keep only that many Littis as are in one line or in one layer only and are not on top of each other. Place the lid on the cooker and close it. Let Littis cook on low flame for 15 -20 minutes. Make sure that you shake the cooker well gently with hands without removing the lid every two -three minutes. The cooker can be rotated sideways and turned upside down gently ( see that cooker lid is tightly closed). This process will help in cooking the Littis from all the sides properly. OR Bake/Roast till all sides are golden and light brown spots come on the surface of the litti. In case baking / roasting not possible use Step 6 for equally good results. When all Littis are cooked, dip in pure ghee or melted butter and serve with Chokha and green chutney of coriander/ cilantro. 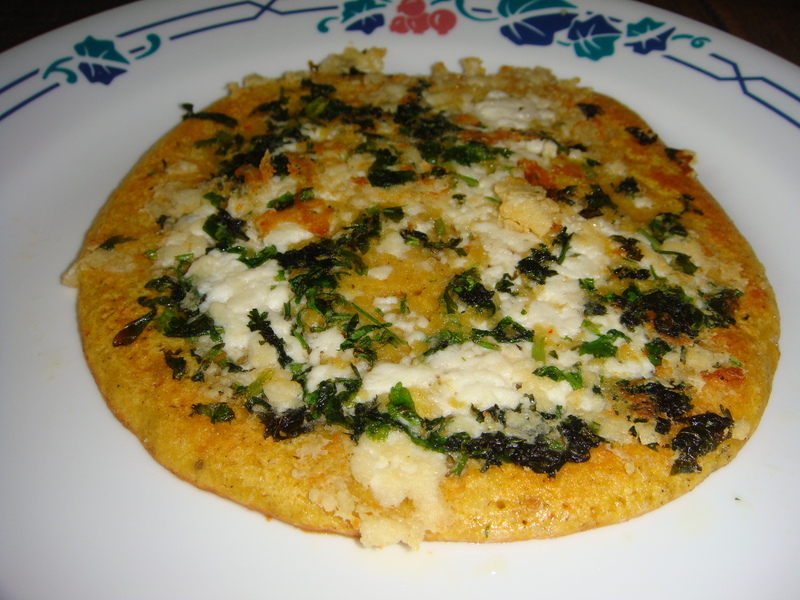 Littis are cooked with no ghee. Lttis can be cooked faster. Multi-grain wheat flour can be used to make healthy and equally delicious litties. 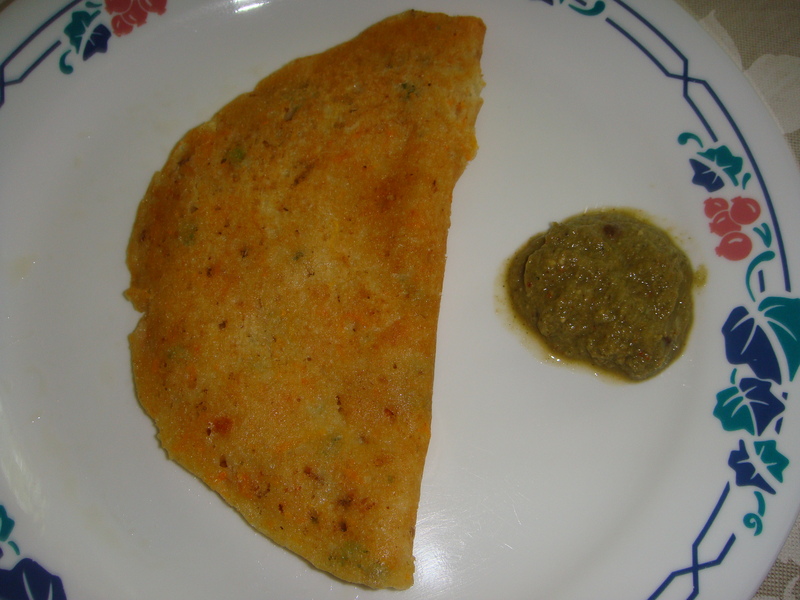 Roasted gram flour can be used instead of Sattu. Take the brinjal/ aubergine /egg plant, coat the entire surface of it with a tsp of mustard oil. Roast the oil coated brinjal , rotate it to cook properly on a medium flame till well cooked from all sides and the skin has charred completely. Switch off the stove and soak the roasted brinjal/ aubergine /egg plant in water. When cool, peel and mash. Keep aside. Similarly roast the tomatoes on high flame. Peel and puree the charred tomatoes. On a high flame place a heavy bottom pan / wok / kadahi and put mustard oil in it and heat till mustard oil is smoked out. Reduce the heat to low flame and fry this puree (from step 3)in the oil for 8-10 minutes till the puree is well fried and turns a deep red. Peel and mash the boiled potatoes , add the mashed potatoes and mashed brinjal/ aubergine /egg plant into the kadai and mix well till well blended. Into the mixture add the red chili powder, turmeric and salt finely chopped green chilies and cook on a low flame, stirring constantly. Add chopped onions and mix well and switch off the stove. Serve hot after sprinkling the lime juice, garnish with fresh coriander. Litti-Chokha is a great health food. Hi friends! We are a big fans of butter murukkus. The murukkus available in stores are very different from the home made ones. The texture and taste of the murukkus changes with the proportion of ingredients used in making the murukkus. While making this snack, the ratio of rice flour and the other flour will give different look and taste to the snack. 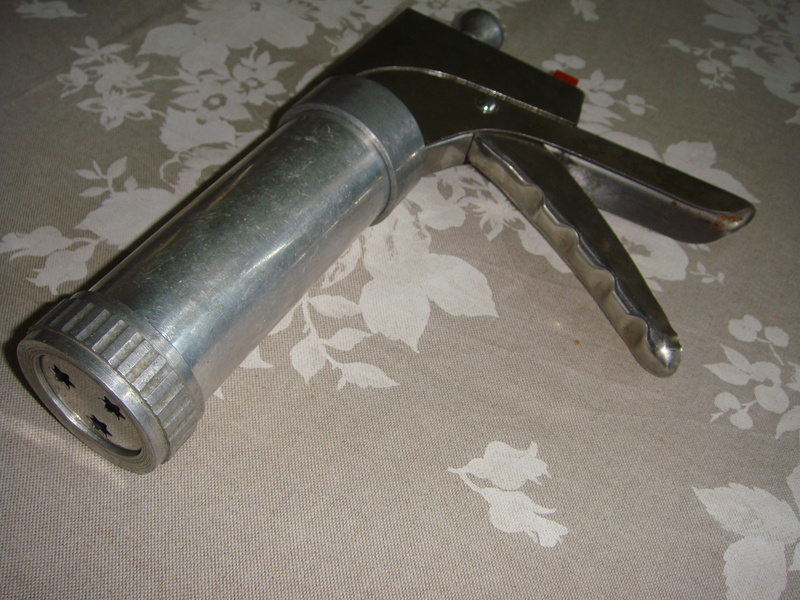 Powder roasted gram dal flour/ Chutney dal flour in a grinder. Keep aside. In a mixing bowl take rice flour, roasted gram dal flour/ Chutney dal flour, Bengal gram flour/ Besan, salt, pepper, asafetida , sesame seeds, cumin seed and butter. Rub in the melted butter well with your finger tips. Slowly add water to make a smooth soft dough easy enough to press. Heat oil in a wok / kadahi/ pan on the medium flame. Fill in the prepared soft dough in the murukku press with the three star plate at the base in the press. Squeeze the dough pressing the handle, and give it a little shake for the dough to break and fall into the oil. Fry these two to three inches long murukku pieces in to the hot oil. Cook on medium flame stirring in between and flipping the murukkus until cooked from all sides. Drain the fried murukkus in a paper kitchen towel lined tray. Cool completely before storing in an airtight container. If you hold the press at an angle while squeezing the dough above the hot oil the murukku pieces break easily into the oil. You can either press the dough down directly in the hot oil or make random lengths on a tray and gradually fry in batches. Do not over crowd the wok / kadahi/ pan while frying the murukkus as murukkus absorb more oil. Hi friends! Here is the recipe of a crispy and spicy, yummy Indian snack which is crisp and filled with peas and spices. In a bowl mix all-purpose flour/ Maida, Semolina /sooji, salt, ajwain /carom seeds, oil and mix well. Gradually add warm water to make a soft dough (adding water as much required). Knead the dough well to make it smooth and pliable.Cover the dough and keep aside for ten minutes. In a pressure cooker take green peas add 1/4 cup of water. On a high flame, when full pressure is formed, switch off the stove. When pressure cooker cools down to room temperature, open the lid and drain the water take out the peas in a bowl. keep the peas aside. Heat the oil in a frying pan over medium heat, and put the coriander powder, chili powder, dry mango powder/ amchoor, gram masala, cashew nuts and salt. Saute for few seconds add green peas mix, stir fry and mash the peas to get a coarse mixture. Cook on low flame for about 5-8 minutes. Switch off the stove. Let the let the filling cool to room temperature. Keep aside. Before starting, knead the dough for a few seconds again. Divide the dough into 6 equal parts and roll each portion of dough with a drop of oil on the rolling board, into a thin flat round shape with about 5 inch diameter. Cut the rolled dough circle from the center into two halves with kinfe. Make each half into a cone by sticking seam together with a little water. Pinch gently the side of this cone so that it is completely sealed. Fill the cone with about 1.5 tablespoons of the cooked pea mixture. Press this filling down gently.Close the slightly wet top of the cone edges to form a triangular shape, pinching the top edge to seal it completely.This way fill in all the samosas and keep ready on a tray. Heat sufficient oil in a wok, kadahi /frying pan on medium heat. To check if oil is hot enough place a tiny piece of dough in oil and if dough come to the surface , oil is ready for frying. Slide in the samosas in the hot oil one by one carefully,frying a few at a time. Samosas should not overlap in the frying pan.When samosas starts floating on top of the oil, slowly turn them . Fry the samosas until the samosas are golden-brown on all sides. This should take about 5-6 minutes. Take the Samosas out over a paper kitchen towel for removing extra oil. Green Pea/ Matar samosas are ready to serve! Serve hot as tea time snack with fresh coriander / dhaniya chutney. 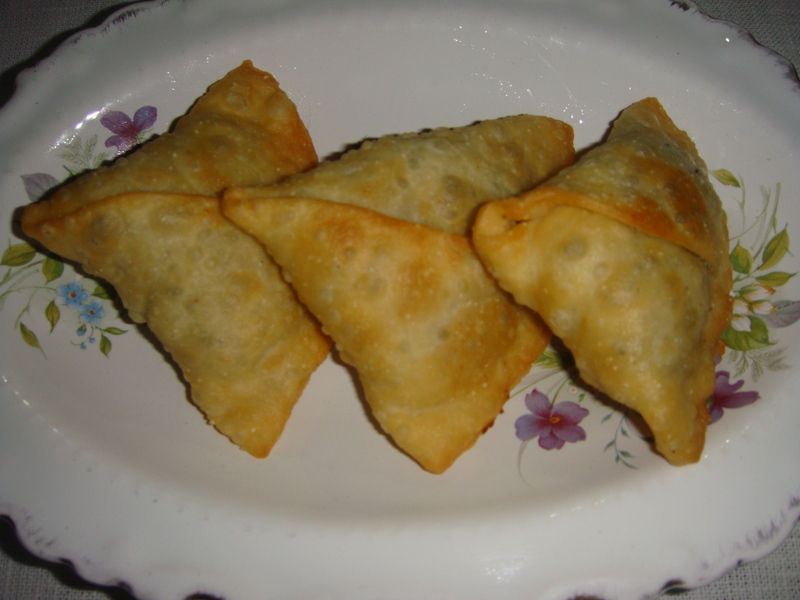 If you use a high flame for frying, the samosa crust will remain soft and not cook properly. Fresh shelled peas can be used too. For a healthy snack, take just sufficient oil in the wok, kadahi /frying pan for frying the samosas and discard the used oil after frying. 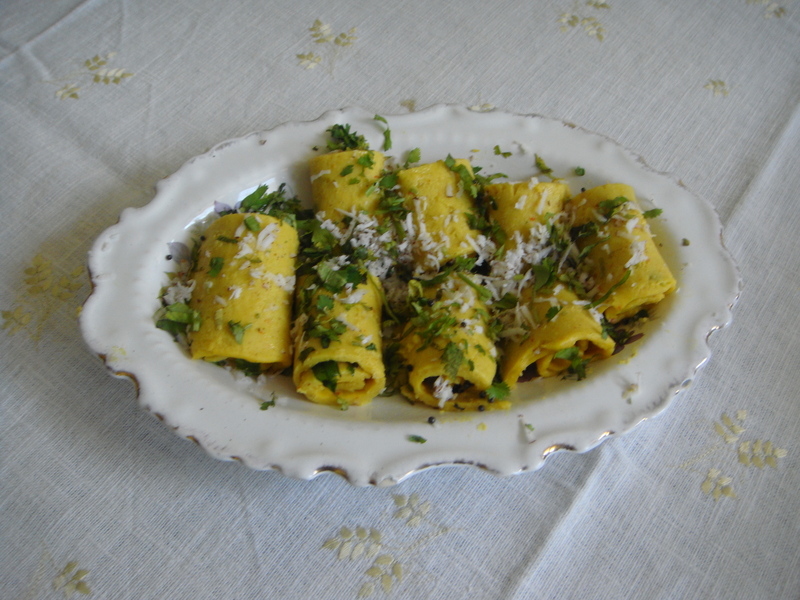 Khandvi is a savory snack in Gujarati cuisine. It consists of yellowish, tightly rolled bite-sized pieces, and is primarily made of gram flour and yoghurt.Khandvi is readily available across India, and is commonly eaten as an appetizer or snack. 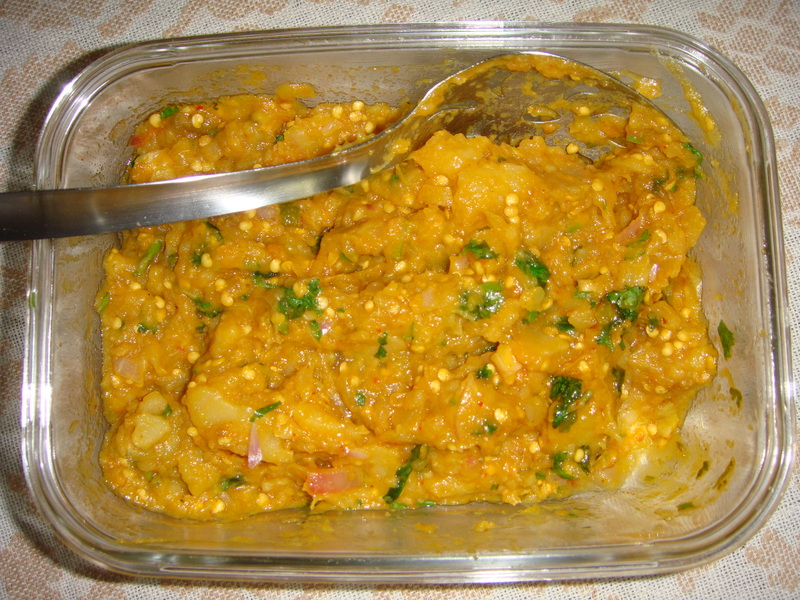 Many people choose to buy it from local shops rather than preparing it at home, though it is easy to make.In other parts of India, this dish is also known as Suralichi vadi or Patuli. Hi friends! Gujarati khandvi, a delicious appetizer/ teatime snack is relished by all. It can be prepared easily . In a mixer jar take gram flour/ besan, curd, water, salt, turmeric, chili paste, and make a smooth batter , without any lumps (batter can also be prepared in a bowl, by whisking it manually). Take the mixture in a non stick pan over high heat, and bring to a boil, stirring all the time ,to avoid scorching. Keep cooking and stirring the mixture. It starts thickening, looking like a thick paste like consistency. Keep stirring continuously . Mixture is ready, when a tsp of from it is spread on to an ungreased surface, and when cool, it should come off clean. mixture for making khandvi is now ready. For spreading the cooked mixture, take a tray without greasing it with oil. With help of a spatula, spread the khandvi mixture over the tray very thinly. Within 15 to 20 minutes, batter cools and sets. Now with a knife, cut the cooled khandvi spread into 6 inch long and 2 inch wide strips.Roll each strip like a scroll, as firmly as you can, without breaking them, make all the rolls and arrange on a plate. Now heat oil in a small pan. Chop the green chili lengthwise. When oil is sufficiently hot add mustard seeds into. when mustard seeds start crackling, add curry leaves . Spread this Seasoning /tadka over the khandvi . Arrange them on to a serving dish. Garnish with the coriander, coconut and serve. Tasty khandvi is now ready. Serve khandvi with coriander chutney/or ketchup or any chutney as per your taste. For making Khandvi mixture should be smooth, lump free. Sour curd / dahi / yogurt gives better results. The batter is cooked down to a thick paste and then spread thinly on a flat surface. Besan flour is made from chickpeas. Hi friends! Salted crackers are a very crisp and delicious tea time snack. Mix Semolina/Sooji flour, salt, pepper, oil and rub it well with your finger tips. Add water little at a time, kneading the mix well with your palm into a soft firm dough. Cover and set aside for 15 minutes. Divide the dough into about four equal portions. Take each portion of the dough and roll it into 4″ circles. With a cookie cutter cut 4-6 crackers/discs from each rolled out circle. Prick each cracker/disc with a fork. Heat the oil for deep frying on medium heat. To check if the oil is ready (hot enough for frying), put a tiny piece of dough in the oil to see if it comes up slowly. On low flame, fry the crackers/discs in batches, until both sides are light golden in colour. 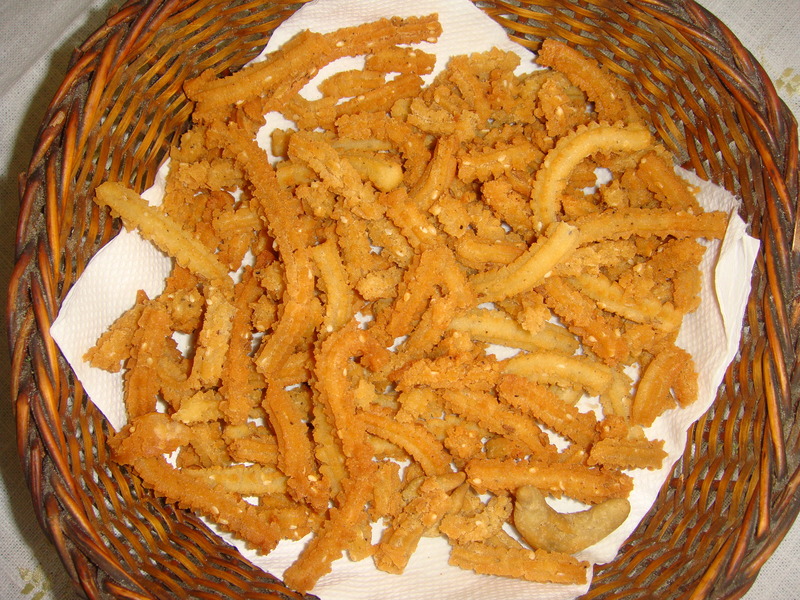 Drain the fried crackers on a paper kitchen towel lined dish to drain out the excessive oil, if any. Cool and store in air tight containers. When you add the water little at a time the Semolina/Sooji flour will look scattered but slowly it will form a dough.